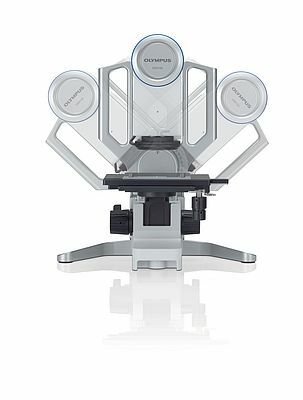 Olympus has launched its new family of opto-digital microscopes, the DSX series. The microscopes provide users with operating simplicity, and absolute performance reliability. 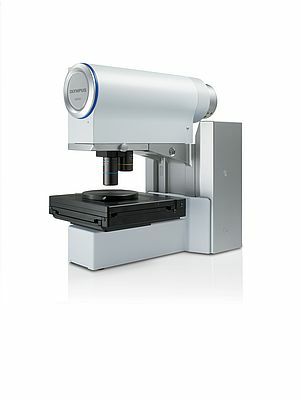 Consisting of three models: the DSX100 free-angle wide zoom microscope, the DSX500 high resolution upright microscope and the DSX500i high resolution inverted microscope, Olympus can provide a complete inspection system to meet the needs of applications across R&D and quality control. These include inspection and analysis within the automotive industry, palaeontology, geology, PCB manufacture, fibre structure, micro-channels, metallography and the geometry of small parts. Every user can get expert results, without the need to understand microscopy. As microscopy and inspection expand across a broader range of industry sectors, more and more users are accessing microscopy techniques on a regular basis. Within a facility, users tend to have a wide variety of microscopy experience. It is therefore important that the inspection system is easy to use for beginners and experts alike. The DSX portfolio allows users to work in the way that is most comfortable for them. With no microscope binoculars, the systems are highly ergonomic, allowing samples to be visualised on-screen. Furthermore, the microscopes can be controlled quickly and easily via the intuitive touch-screen interface, or using a more traditional computer mouse. All three members of the DSX family operate in the same computer-based manner, meaning that operators can easily move from one model to another without the need for specific training. 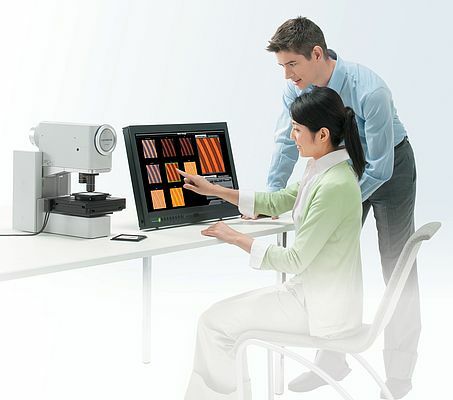 Image analysis is highly intuitive, with the DSX preview screen facilitating the quick and simple selection of the best optical technique, without the need for any time-consuming adjustments. The system will automatically generate a selection of preview images which are shown as thumbnails for each technique - brightfield, darkfield, differential interference contrast (DIC) -all the user needs to do is touch the screen to indicate their preferred imaging approach. Providing an option to suit all users, there are a number of selectable modes. The tutorial mode helps to guide operators who are new to the process, while the advanced mode provides an additional level of flexibility to a user with a basic level of knowledge. Furthermore, the operator mode allows customisation of the interface so as only the required functionality is visible for routine work. The operator mode also allows user profiles to be set-up so as specific protocols, especially those of the more advanced user which have been fine-tuned and tailored to specific requirements, can be quickly and easily saved and recalled. Combining functionality such as HDR (high dynamic range) and WiDER with an advanced optical zoom and dedicated objective lenses, high resolution images can be obtained effortlessly at the best size for each application. The new zoom optics reduce halation and glare to provide images of the best possible clarity, while the dedicated lenses fuse superior optics with sophisticated image processing for precise, accurate and repeatable measurements, every time. According to the supplier, the DSX500i microscope is the first inverted microscope to be introduced to the materials science market. 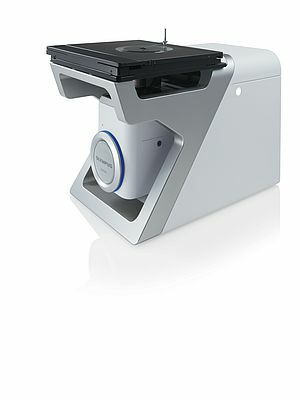 As with any inverted system, users drop the sample onto the DSX500i to begin, with the fully motorised microscope providing a wealth of imaging options. These include brightfield, darkfield, differential interference contrast (DIC), polarised observation and a whole new mode - MIX. By combining brightfield and darkfield observation methods, MIX allows the transition from one to the other to be automated so as users can clearly view scratches and dents in a single field of view. By automating the optimisation of image capture conditions, complex manual fine-tuning is removed thus allowing users to provide expert images without the need for any microscopy knowhow. The DSX500 puts a wide range of illumination options into the hands of every user, regardless of their levels of expertise. With the DSX500, users can select brightfield, darkfield, differential interference contrast (DIC), polarised observation (PO) or MIX function, by touching the automatically generated on-screen preview images. The new MIX function essentially combines brightfield measurements with darkfield LED illumination, providing a totally novel way of detecting defects and imperfections while observing the sample. Designed to meet the needs of entry-level and advanced users alike, the DSX100 opto-digital microscope combines an easy to use, intuitive touchscreen interface with advanced functionality. The free-angle design of the microscope allows users to view samples from all sides, without the need to move the sample, recalibrate, or refocus, thus saving valuable time. As a result, users can position and lock the zoom head, allowing the detailed inspection of any grooves, cuts or protrusions, for example.